Asphalt 8 is one of my all time favourite mobile games. It is incredibly fun to play, and even comes with a local (and online) multiplayer mode, which makes it even better. On the Android TV, the game is available on the Play Store, and runs just fine on the Mi Box. True, the frame rate is not very smooth, but it’s completely playable, for sure. You can connect a Bluetooth gamepad to your Android TV, and Asphalt automatically detects it, and tells you the control scheme for your gamepad. While it is possible to play the game with the controller that is provided with the TV box, it makes for a “not-so-exciting” gameplay. However, add a Bluetooth controller to the mix, and you will find yourself having a lot of fun racing on a giant screen in your living room. 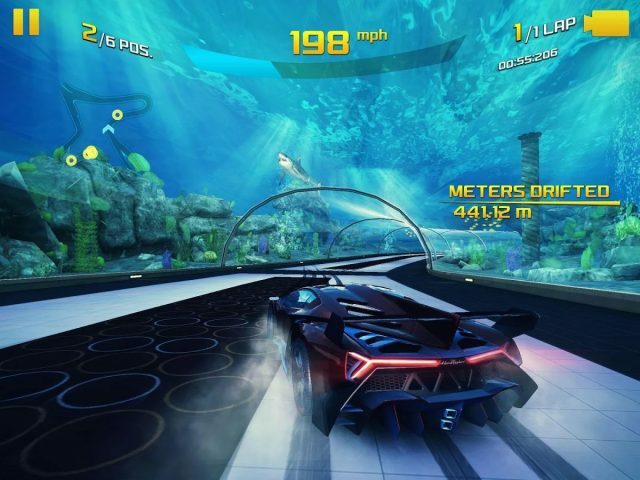 Note: While Asphalt 9: Legends is available on Android, the game is still not compatible with Android TV. 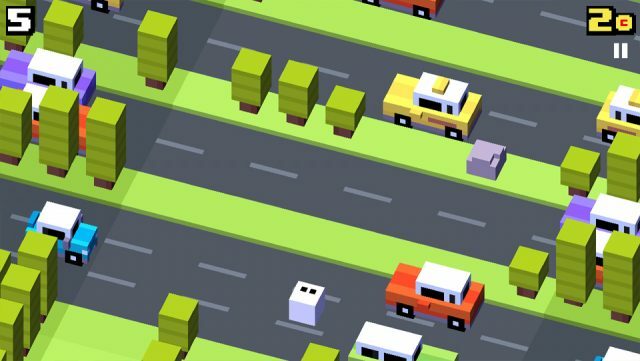 Crossy Road is a fun game that will keep you hooked for hours at a time. 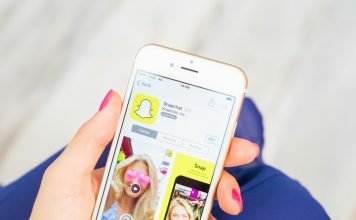 The premise is simple – you just have to cross roads, while avoiding getting hit by traffic (which comes both ways, on some streets), and also avoiding going out of the screen, as the camera keeps panning forward, and you need to keep ahead of that. What makes this game so addictive, is possibly the fact that you feel like it’s easy enough, when it’s not, and that it requires you to maintain a fast pace, right from the start. Making your way through traffic is hard enough, but the game quickly moves on to streams that you have to cross by stepping over logs, and leaves. The graphic quality in the game is deliberately poor, but that is what adds to the overall charm, and feel of the game. Plus, the fast paced movement, and the easy control scheme makes it a lot of fun to play. Do note that the game is better played with the Android TV remote, rather than a gamepad. Dead Trigger 2 is a first person survival game, set in a world torn apart by a global zombie apocalypse. 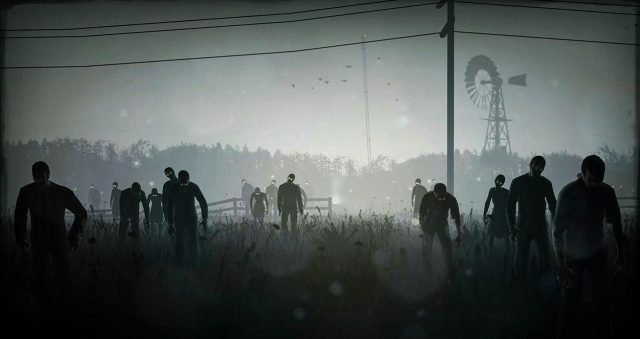 If you’re thinking this is yet another zombie apocalypse game, it kinda is. However, the “kind-of” open world maps, and the graphic quality of the game makes for a very interesting game design. You can walk around the map, completing objectives, and a lot more. The game requires a gamepad to play, and you will have to set it up before you can get to playing the game. While the set up does take some time, I like the idea of customizing the controls when the game launches, so you know exactly how to go about playing the game, and completing the objectives handed to you. When the game starts off, you’re in a post-apocalyptic world filled with zombies, and you’re armed with just a melee weapon, and a handgun. More weapons get unlocked later on in the game, and give you the option to play the game in variety of different ways. The game is updated often, adding more and more gameplay elements, to keep you interested, and absorbed in surviving in what can only be described as a hell-hole. Into the Dead is another game that I really liked playing on my Android phone, and it was a pleasant surprise to see the game being just as much fun on a larger screen. Except, more interesting. Also, playing the game on a bigger screen give the visuals a much deeper perspective, bringing out the real horror in running along a field filled with zombies, and obstacles. 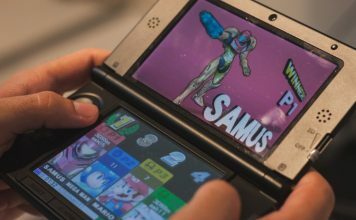 The game is easily playable with a gamepad, and tells you controls as you go along. Running is automatic, and all you have control over, is turning left or right, to avoid zombies (and obstacles like trees, and abandoned cars), as well as shooting from weapons that you can pick up from crates that are dropped randomly. The game is basically an endless runner, and it gets progressively more difficult to play, as the distance increases. You will need to be quick with your reflexes, and turn at the exact moments, to avoid colliding with a zombie, resulting in death. Yet another fun game that you can play on your Android TV, is the critically acclaimed, and widely loved game Badland. The game has received over 1 million ratings, and averages out at 4.5/5, which is nothing short of marvellous. On the TV, the minimal graphics look extremely good, and the colours stand out well. You can play the game with a gamepad, or with the Android TV remote control, and it feels a lot like other tap-to-fly games like Flappy Bird. Except, less annoying. 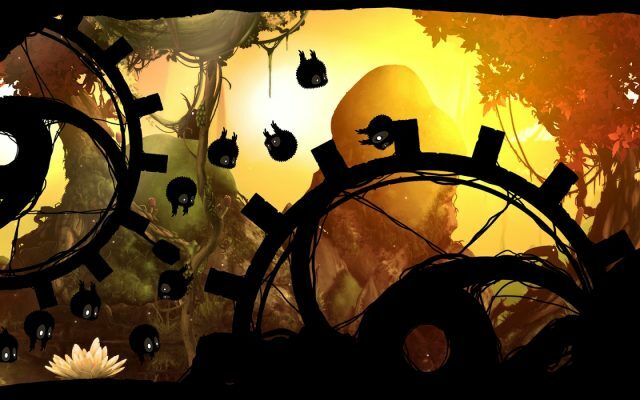 In Badland, you can hit walls, and obstacles as much as you want, as long as you don’t get stuck in them, which results in death. The objective is to cross the level while dodging obstacles, and collecting power-ups. Levels get progressively harder, and the game doesn’t stop being interesting. 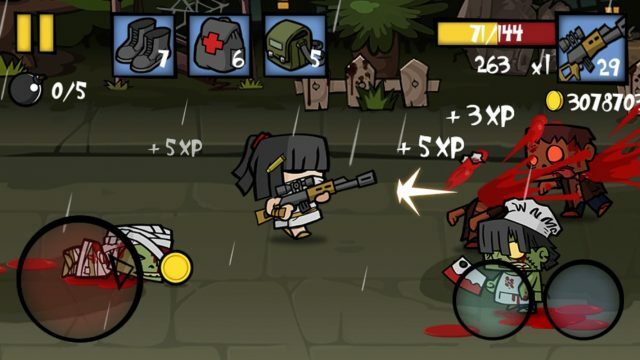 Zombie Age 2 is a fun, side-scrolling shooter game, with light graphics, and a funny take on killing zombies. The game starts off with teaching you the basic movement, and shooting scheme that you’ll follow. Then, you’re quickly thrown into the field, expected to defend yourself with just a baseball bat, and a pistol. The first couple of levels are easy, and just when you start unlocking weapons, and basically start feeling invincible, you’ll be shoved into a level that seems almost impossible to complete. That’s the fun part of this game, it challenges you in unexpected ways, and tries to (successfully) keep you on your feet, and keep your adrenaline pumping. 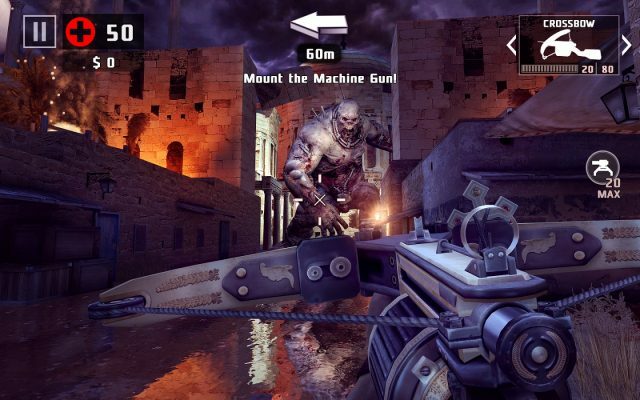 The game is really quite fun to play, and if you like shooter games that don’t take themselves too seriously, Zombie Age 2 is the perfect way to spend some time shooting, and bashing zombies on your TV. 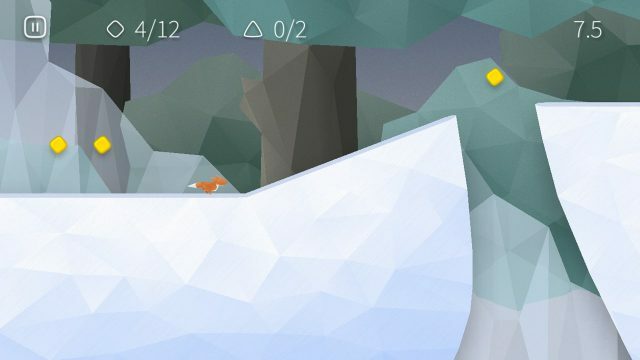 Fast Like a Fox is a level based, side runner game that will keep you entertained for hours. In the game, someone has stolen all the foxes’ treasures, and it is your responsibility to find, and return them all. But that’s not all, you have to be as fast as you can. Playing the game itself is easy, you simply press and hold the running button on your gamepad, and the fox increases it’s speed over time. You can press on the jump button to jump over obstacles, and chasms, or to collect coins, and gems that are hanging above in the air. However, running is not everything in the game; you’re actually supposed to slow down at the perfect time to be able to collect every single piece of treasure on the level. At the end of each level is a diamond, that you have to touch (or pass through, if you’re running too fast). However, funnily enough, if you’re too fast, and you happen to jump over the diamond, the level doesn’t get over, and you have to restart from a little ways back. All in all, though, the game is quite a decent one to kill some time, while enjoying the Material Design oriented graphics, and soft colour schemes that the game follows. BombSquad is one of those games that you can enjoy quite a lot with a keyboard, but not so much with a gamepad. However, if you happen to attach a keyboard to your Android TV, you’ll definitely fall in love with BombSquad. The game supports a number of different gameplay modes, including single player/co-op, or multi-player. 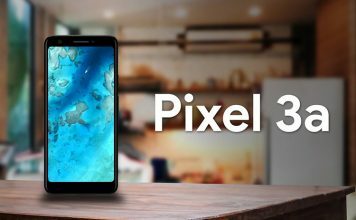 The game is a lot of fun when played in multiplayer mode; all you need to do is connect two (or more) controllers to your Android TV, and you’re all set to play with your friends. 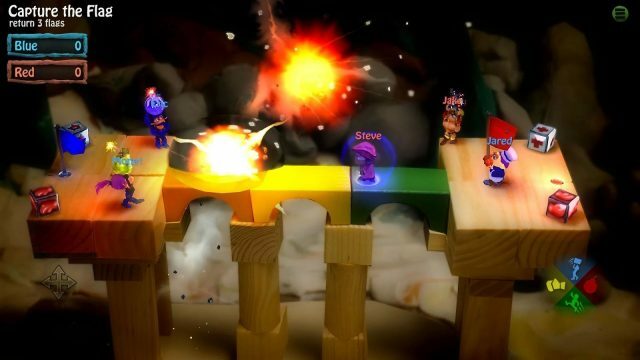 BombSquad has a number of great levels, and the sole aim of the game is to kill all your friends’ characters. You can punch them, lift and throw them off the platform (effectively killing them), or chuck bombs at them. The game is a lot of fun, even in single player mode, but playing with friends will bring out its true potential. You should definitely try it out with a couple of your friends. Does Not Commute is a very different type of a game, and while it comes off as confusing to start with, the objective of the game becomes clear pretty soon. The game follows turn by turn stories of a number of different people, all of whom are heading somewhere or the other, and you have to ensure that they all get to their destinations, in the given time limit, while avoiding collisions with other cars. 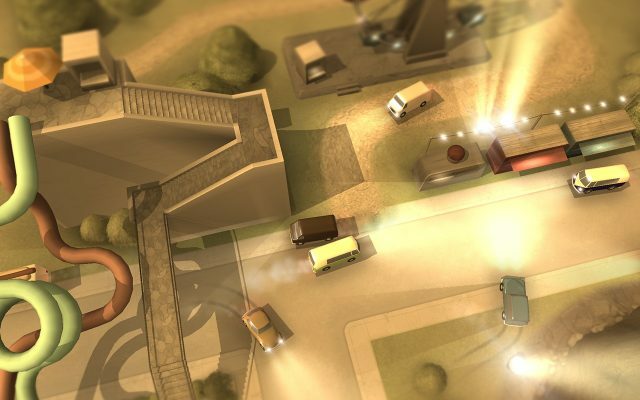 From the starting of the game, you will need to think about things like the shortest path to their destination, and then, as the game progresses, you will need to figure out the best paths for each one of them, so they don’t end up colliding with each other, or with buildings, and other obstacles. The game is fun, and the graphics are very nice. Gameplay is fluid, and definitely engrossing; there’s something fun about reading the short descriptions of the people in the cars, and what they’re doing. I would recommend this game, only when you have enough time on your hands, and enough energy to apply a little bit of thought to the game, to do it justice. 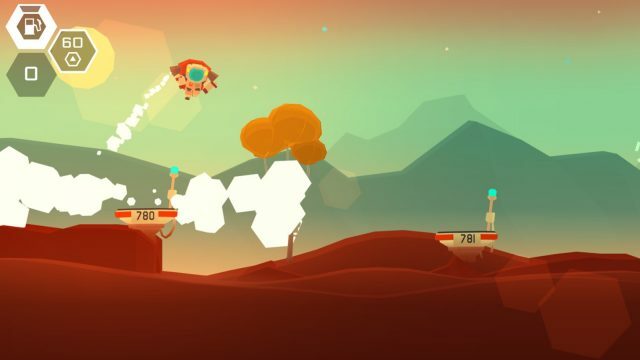 Mars: Mars is a fun way to kill time on your Android TV. The objective of the game is not immediately clear, or clear at all even after I jumped over some 70 pads. Coming back to the game, you’re an astronaut who has been sent to Mars, and for some reason, your sole purpose on the lonely red planet, is to jump from pad to pad, using the thrusters in your spacesuit to manage your flight, and land slowly, without unscheduled disassembly of your suit, and by extension, you. For some reason, the game is extremely addictive, and you will probably end up playing it (like me) for a long time, just waiting to see what happens next. The game does put up quite a number of challenges, and there’s always something or the other that will keep you wanting to continue playing. Dan The Man is an action platformer that looks, and feels a lot like Super Mario. The gameplay is very similar, and even the way the game progresses is quite like Mario. Personally, I liked playing the game, even though the music was not really in keeping with the tone of the game. Just like in Super Mario, you have to make your way through a number of obstacles, and defeat easy enemies to get across the level. There are also a number of urns placed all over the level, which can be broken by punching and kicking, to get coins, or (sometimes) weapons, and ammo. There are a number of different weapons that the game has; I only played the game for a little while, and I was able to get my hands on some ninja stars, throwing knives, and even a machine gun. It’s super cool, and you should definitely try it out. 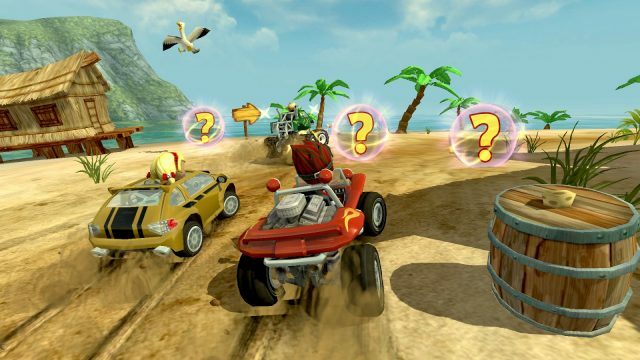 If you’re interested in racing games, Beach Buggy Racing is a great racing game that you can play on your Android TV. The best part about this game is that you can easily control the beach buggy that you’re supposed to be racing. The control scheme is easy to understand, and the game does not use super accurate physics, which, to be honest, can be annoying on a casual game. The game starts off by teaching you how to race your car, and how to upgrade it… all the basics of the game. While racing, you can pick up various power-ups that provide you with different types of powers, including things like rockets to blast your opponents out of your way, boosts to speed past anyone in front of you, and a lot more. You can also get the shield, which basically protects you from rockets, and bombs fired by your opponents. The game itself is a lot of fun, partly because of the smooth gameplay, but also because it does not try to make itself too complicated, and keeps the controls, and the handling of the car, sweet and simple; something that I really love. Crush Your Enemies has been one of my favourite games on iOS devices, and I was pleasantly surprised to see it run so well on an Android TV, as well. It’s one of the games that just goes to show that graphics aren’t everything when it comes to making an enjoyable game. The game uses graphics that look a lot like the 8-bit games of old, and combines it with a gameplay that is just too enjoyable to let go. Crush Your Enemies combines fun gameplay, with a storyline narrated with so much wit, that it becomes almost impossible to let the game go, until you hit a dead end with a mission that just won’t complete. The game requires a fair bit of strategising, and thinking ahead, especially once you progress to some of the higher levels. 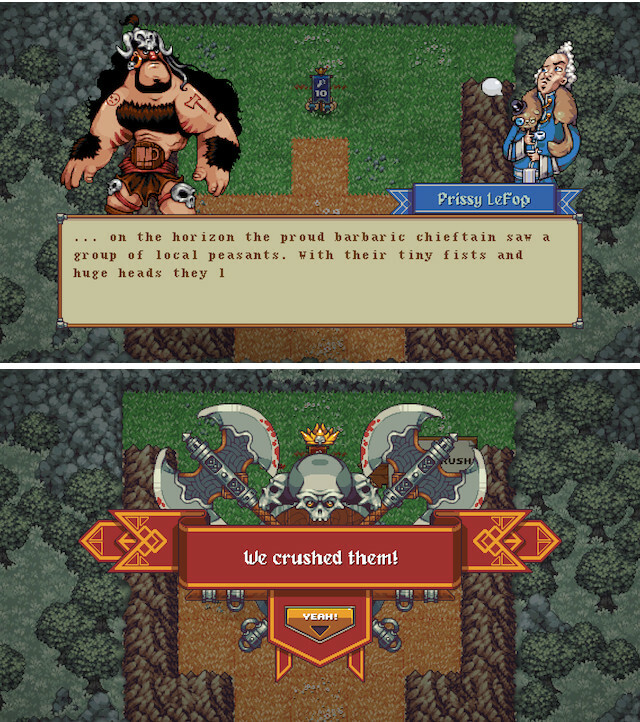 All in all, Crush Your Enemies is a great game for people who like strategy games, and don’t mind the expletive filled cutscenes. Note: Crush Your Enemies is not suitable for kids. The language is harsh, and filled with expletives. 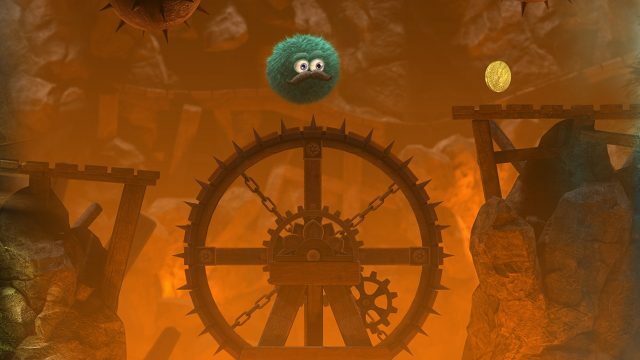 Leo’s Fortune is a fun platformer game which will keep you engrossed. Thanks to the extremely well designed levels, fluid gameplay, and the “easy to understand, hard to master” controls, the game will definitely have you hooked. In Leo’s Fortune, you play the role of Leopold: a moustached fluff-ball, out to hunt the thief who stole its fortune. The levels are generally easy, interspersed with some difficult moments that’ll definitely take you a couple of tries to get past. There are almost 24 levels in the game, plus some bonus levels, so the game will definitely keep you hooked for quite some time. Plus, you can play this game with a controller, or using the Android TV remote control, thanks to the easy control scheme. Do I even need to explain about GTA series of games? 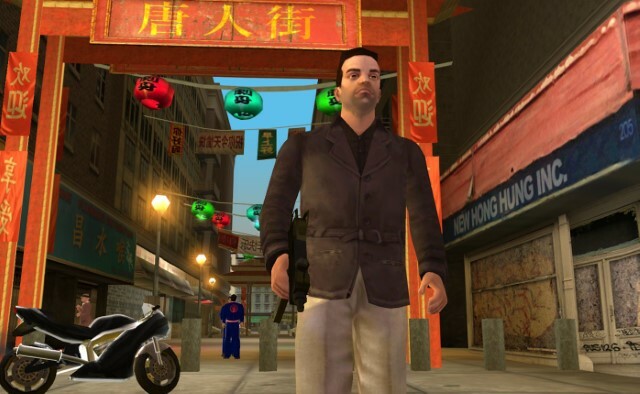 I mean, even the most casual gamer would have heard about GTA and the GTA: Liberty City Stories brings all its fun to the Android TV. While the game keeps all its original flair, its gameplay has been streamlined to make it better for Android TV. You play as Toni Cipriani who is the former trusted wise guy for the Leone family. You have been in hiding after killing a made man and now you return to see the streets of Liberty City in turmoil, as warring families vie for control and the town begins to self-destruct. Your aim is to bring the city back in control of the Leone family so that peace and organized crime can be maintained. You will have to come over politicians, mob bosses, business tycoons, and more to achieve your goals. GTA: Liberty City Stories is an excellent game and something you will enjoy playing with a physical controller. If you are a fan of GTA or wanted to play it but never could, thisx is the game that you don’t want to miss. There are quite a lot of games that you can play on your Android TV. However, these are the 15 best games for Android TV that I’d personally recommend. These games range from genres like puzzles, adventures, and racing. So, no matter what kind of game you’re interested in, chances are, you’ll find a game to your liking on this list. As always, I’d like to know your opinion about games on Android TV, and Android TV in general. Also, if you know of any other Android TV game that you think deserves to be on this list, do let me know about it in the comments section below.